When comparing fresh vs canned veggies, many would think that fresh always has more health benefits and nutrition. But, this isn’t the case when it comes to pumpkin. Canned pumpkin has way more nutrients than fresh pumpkin. One of the most surprising nutrients in this vegetable is the amount of protein it has! There is 3 grams of protein in one cup of canned pumpkin. Protein is essential for several of the body’s functions, including strong hair growth. If you see, what seems to be, an excessive amount of fur balls around your home, your dog may be in the need of some more protein alongside key hair-healthy vitamins. Pumpkin is loaded with vitamin A and vitamin C, which are necessary for strong hair growth. Strong hair growth means healthier hair and less fur balls! 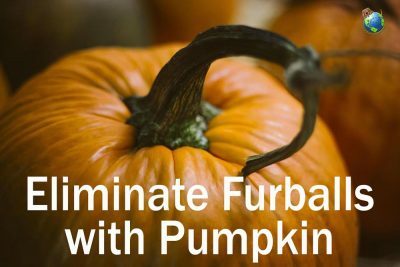 If you want to boost your dog’s diet and decrease hair loss, add 1 teaspoon of canned pumpkin to your dog’s morning or evening meal. Make sure you use canned pumpkin to maximize your dog’s intake of protein and vitamins. Over time, you should see less fur balls showing up in the corners of your home.